Chow Chow price tends to be proportional to their fluffiness so you can expect to reach deep into your pockets. They are a great option if you are looking for a devoted and regal companion. If you’re planning to acquire a Chow Chow dog, there are some things you need to consider first. Being aware of your future dog’s characteristics will enable you to provide a better quality of life for them (and subsequently yourself). 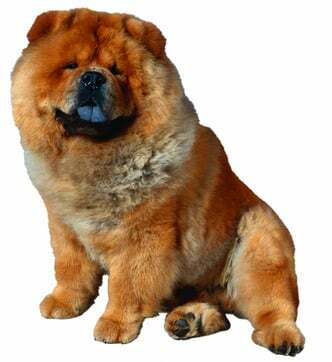 In this article, we’ll look at the Chow Chow’s temperament and breed characteristics. We’ll also cover all the little things you may need to know before you bring a Chow Chow home. Finally, we’ll offer our tips on how to get the best price when buying a Chow Chow! The Chow Chow originated in China and is one of the most ancient breeds, dating back to around 200 BC. They owe their name to British sailors who wrote Chow Chow on boxes of articles they imported from China. Those boxes eventually included these beautiful creatures. 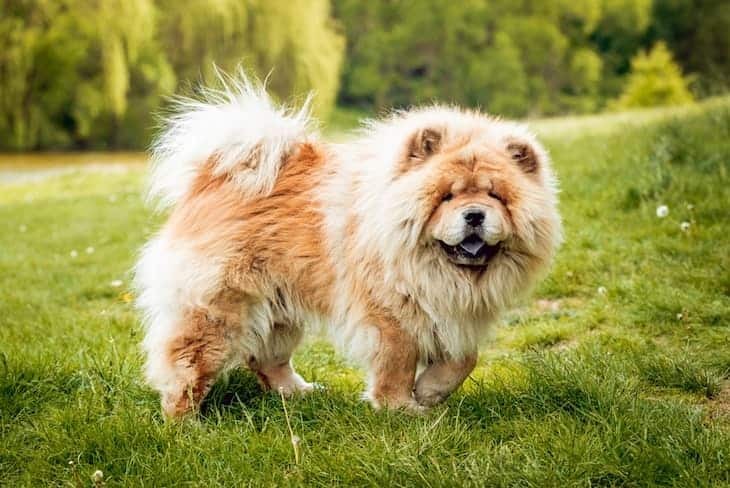 Chow Chows were initially bred as a working dog, but their rare fluffy appearance helped them charm their way to lives as either show or companionship dogs. One of the most recognizable characteristics of the Chow Chow dogs is their lion-like mane and bear-like face. They have a blue-black tongue and are the only dog breed that has 44 teeth, rather than 42. The most common color for a Chow Chow is golden or reddish. However, you may be amazed to know that there are 2 other colors of Chow Chow dogs to look for! Their coats also come in white, dark brown or black, and golden. You may have also heard of a dog called the Panda Chow Chow, with a black and white coat. While these dogs do exist, you should know that they are the product of a careful dye job. 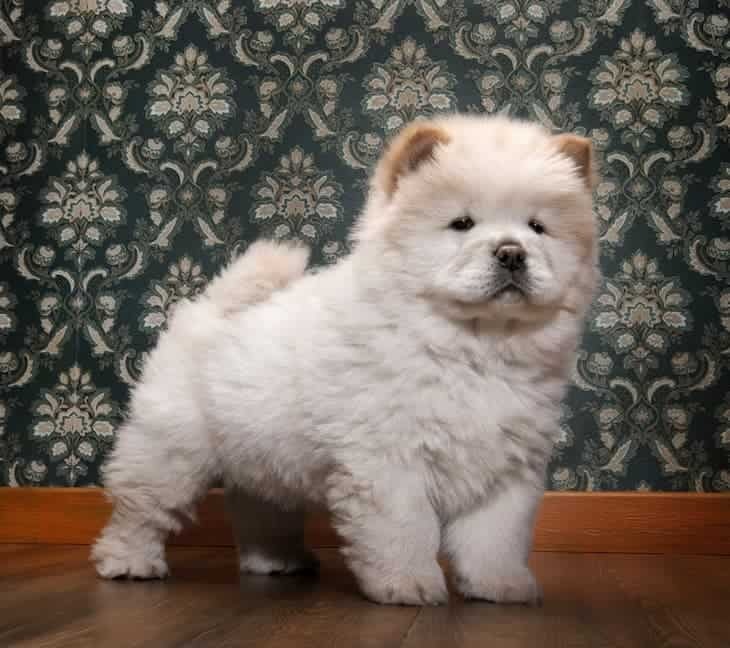 If you see someone advertising “Panda Chow Chow puppies for sale,” remain skeptical. They may be using these cute (and artificial) markings as a pretext for overcharging for what is actually just a white Chow Chow. Chow Chows are tranquil, loyal and close to their owners, but their appearance does not necessarily show their true colors. They are quite smart, but stubborn, independent thinkers, so it’s imperative to train them from a very young age. These pups tend to keep their distance from strangers and sometimes can be aggressive with other dogs. It’s essential to socialize your Chow Chow with humans and other dogs to prevent these aggressive tendencies from developing. Chow Chows are not particularly good with kids, as they tend to lack patience. Nonetheless, with proper training and early familiarization, they will make a devoted guard dog for your family. While the Chow Chow does not require a lot of exercises, it is vital to maintaining a regular walking schedule so your pup can burn off energy. This medium-sized breed stands around 19 to 22 inches tall for males, while females reach between 18 to 21 inches. Their weight can range from 45-60 pounds in females, and 55-61 pounds in males. Because of their medium size, Chow Chows are readily adaptable to indoor living and apartment life. The Chow Chow price is really just the beginning of their cost. You’ll need to be sure to factor in both the ongoing and occasional expenses that come along with owning a dog. The Chow Chow’s small stature and low-energy mean they don’t consume large amounts of food (or, at least the shouldn’t). Their low food requirements mean you won’t need to spend excessively on food. They do well on commercial dog food brands, but the AKC suggests they may do best on a low-grain diet. The Chow Chow’s long, thick coat needs to be cared for to avoid skin diseases like Pemphigus Foliaceus. The breed is also prone to some common health conditions, such as elbow dysplasia, patellar luxation, and autoimmune thyroiditis. Treatment for conditions like these can result in ongoing medical expenses. As you can see, it’s especially important to ensure you’re purchasing a Chow Chow with a clear certificate of health. Even if your family isn’t Royal, your Chow Chow will expect to be treated as if he is. 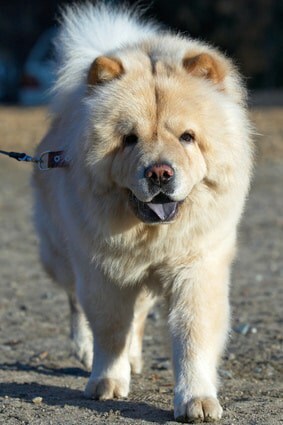 Chow Chows require regular, and frequent brushing and bathing to ensure that their thick coats stay in good condition. If their grooming routine is neglected, they can quickly develop painful fur mats, which make brushing even more challenging. For this reason, you should factor grooming costs into the price of your Chow Chow. How much do Chow Chows cost? Rare dogs usually come with hefty price tags. If you’ve been wondering “How much is a Chow Chow?” prepare to be surprised. Chow Chow price range stretches from $500 to $8000 with the Chow Chow average price resting around $3200 per dog. They are considered to be among the most expensive breeds in the world. Of course, Chow Chow puppies price are higher than adult dogs, even if they of the same pedigree. Puppies are typically more desirable, and thus can command higher prices. In some countries in Asia, you can easily find Chow Chow puppies for sale, as they are quite common there. However, most of the Chow Chow breeders are located throughout Europe and North America. The price of a Chow Chow is elevated not only because it is rare and has an adorable, fluffy appearance, but also due to the breed’s fame. These dogs have been pets to royalty and celebrities throughout history, and are thus highly sought-after. These fluffy pups are very popular, and therefore it can be challenging to locate a purebred puppy, which in turn increases Chow Chow prices. Many breeders have waiting lists for their Chow Chow puppies and will ask you to set an appointment up-front to ensure their dogs are going to a well-suited family. As you probably know, pedigree is indicative of a healthy Chow Chow. If the pup’s parents have strong pedigrees, the pup becomes more valuable. It’s important to do thorough research and find a reputable breeder. Always make sure your Chow Chow breeder can provide certificates of health for their puppies. Remember that sometimes a more substantial investment up front can result in fewer health-related expenses down the line. If you are not willing (or prepared) to drop thousands of dollars on a purebred puppy, you might wish to consider Chow Chow adoption. Chow Chow puppies for adoption tend to be much less expensive than purchasing a pup with a pedigree. Many breed specific rescues work to place Chow Chows in forever homes. While you can still expect to pay a few hundred dollars to rescue one of these beautiful dogs, you’ll be doing a good deed at the same time! For more information about rescuing Chow Chows, visit the Chow Welfare site! A Chow Chow is a fantastic option if you are looking for a companion dog that attracts jealous stares anywhere you go. These haughty pups don’t require a lot of exercises and make excellent watchdogs. 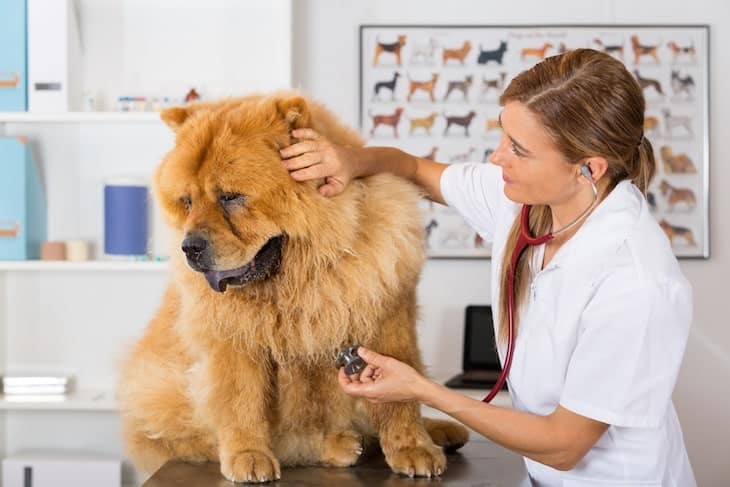 On the other hand, a Chow Chow may not be your best option if you have young kids or aren’t prepared to deal with their thick, luscious coats. When all is said and done, though Chow Chow price tags may be high, having a devoted companion by your side is priceless.